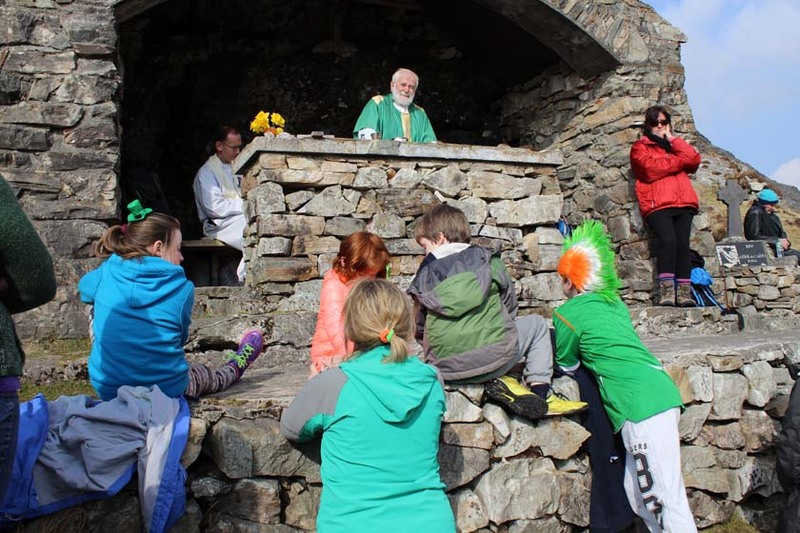 On St. Patrick’s day, 2015 Fr. 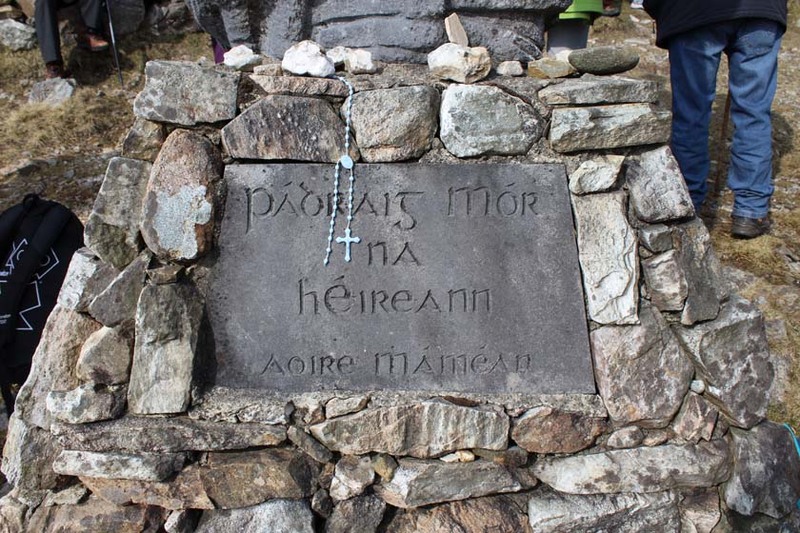 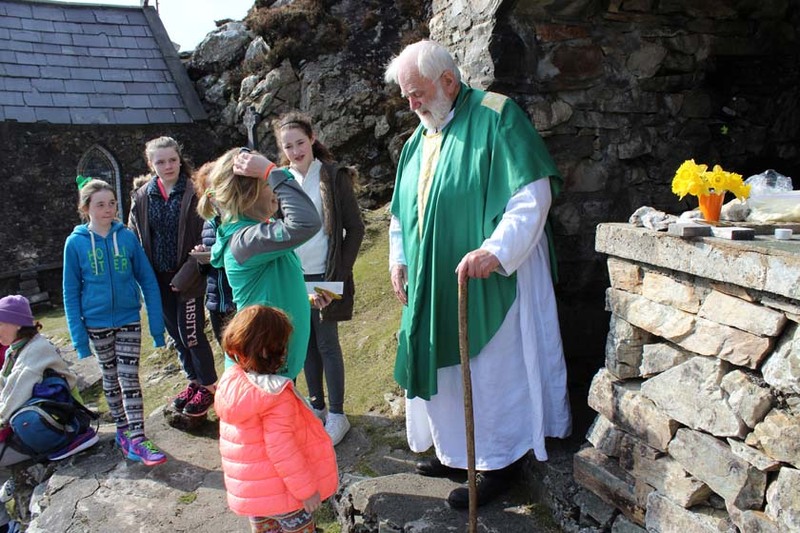 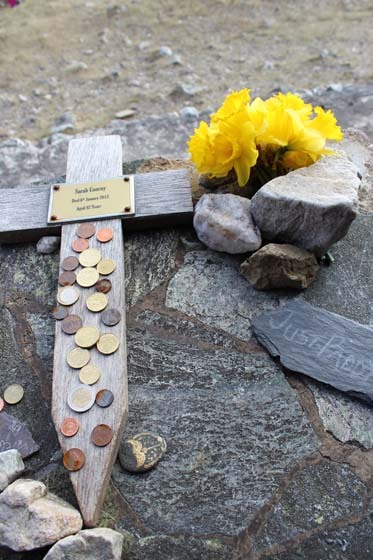 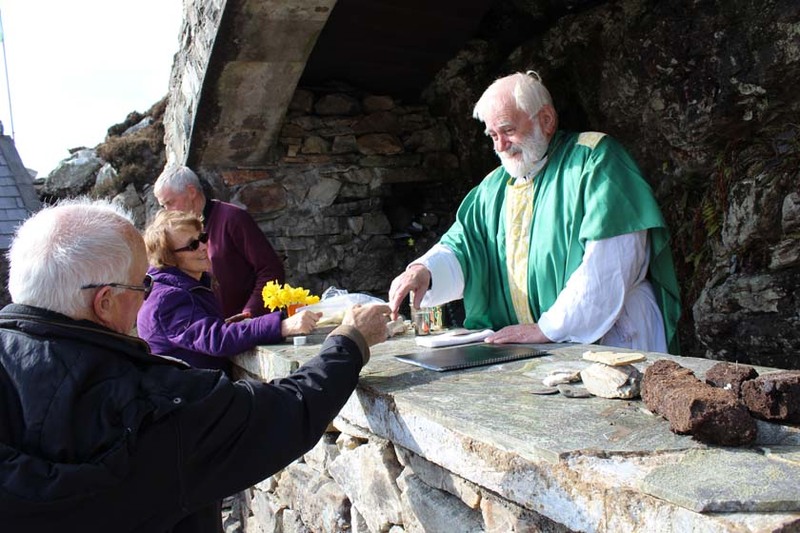 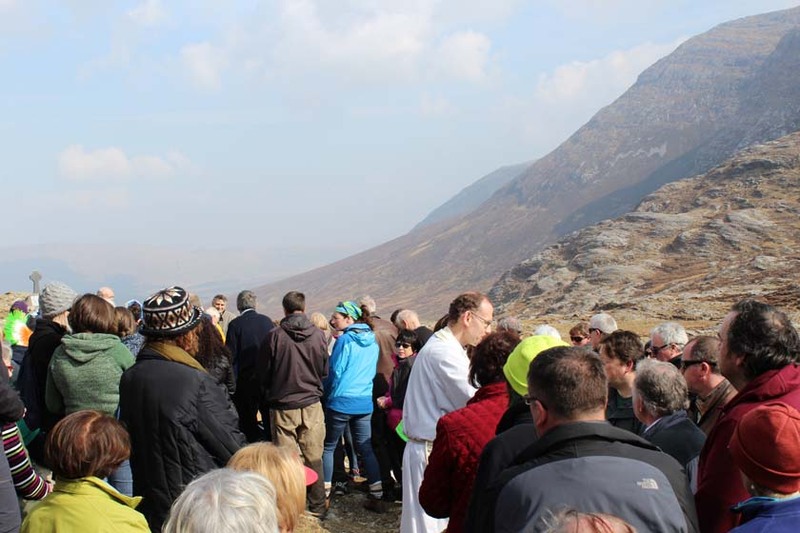 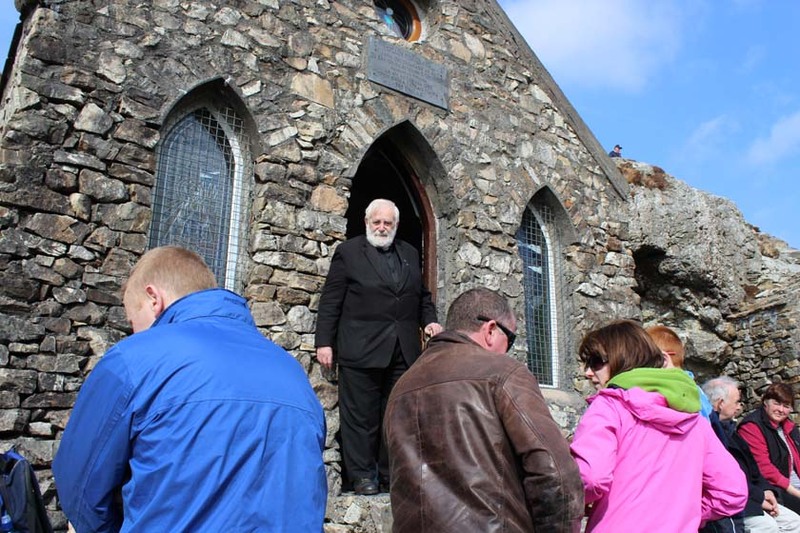 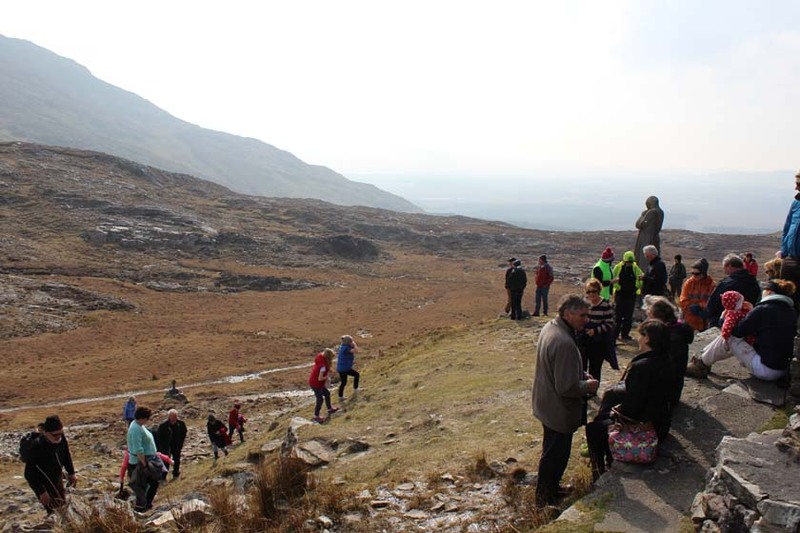 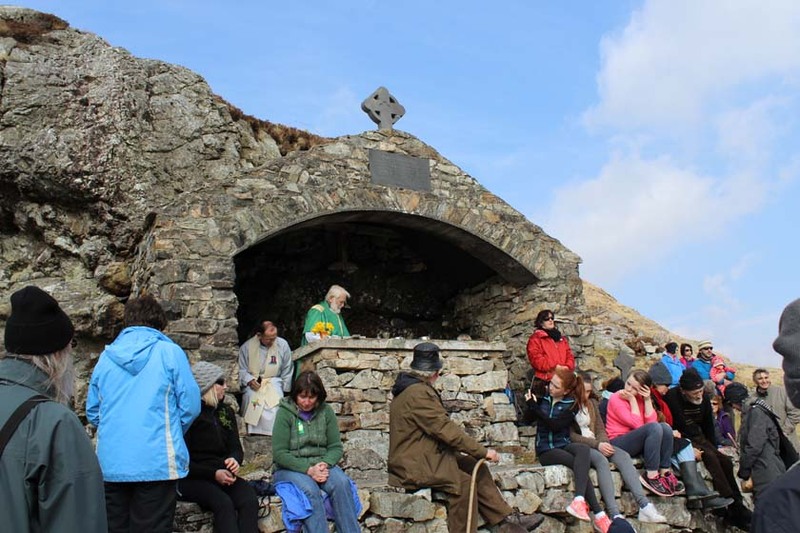 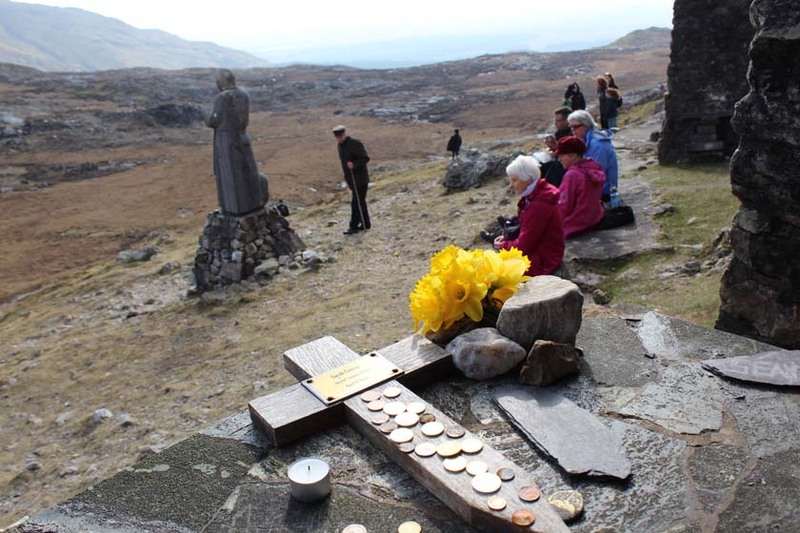 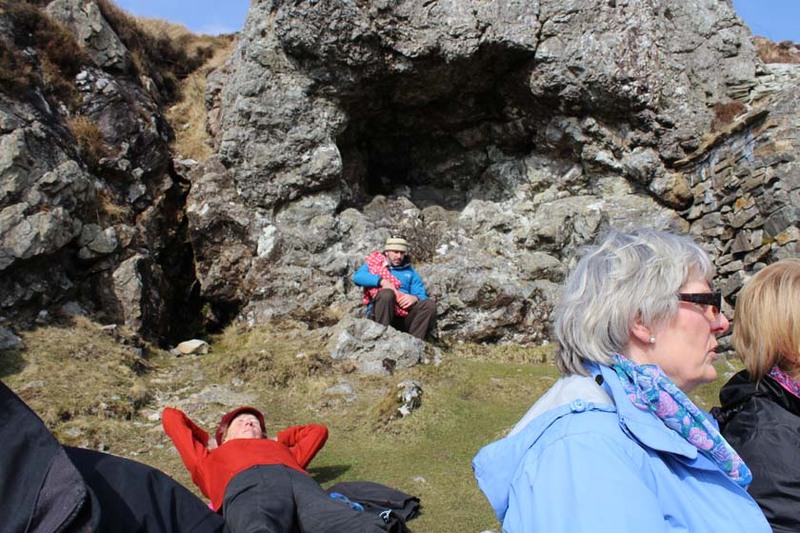 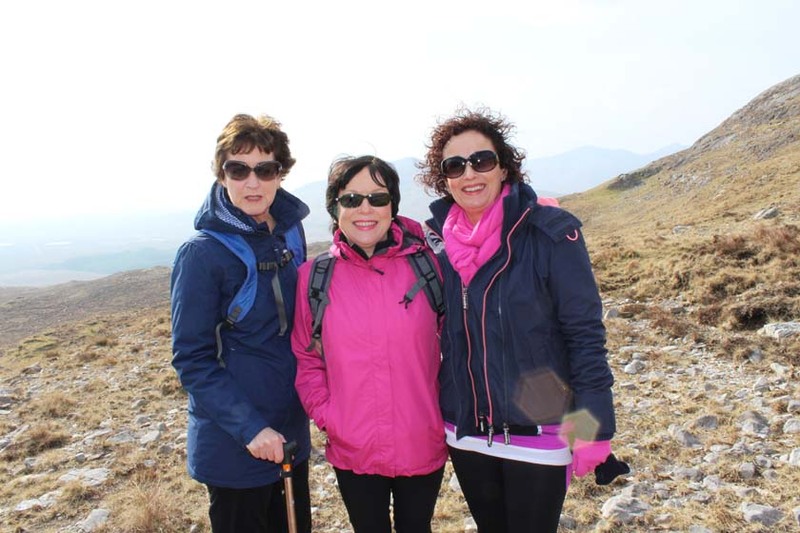 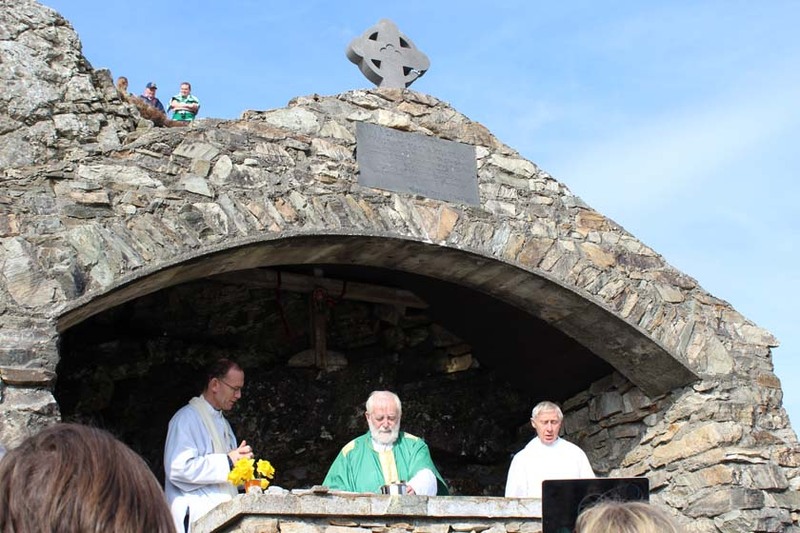 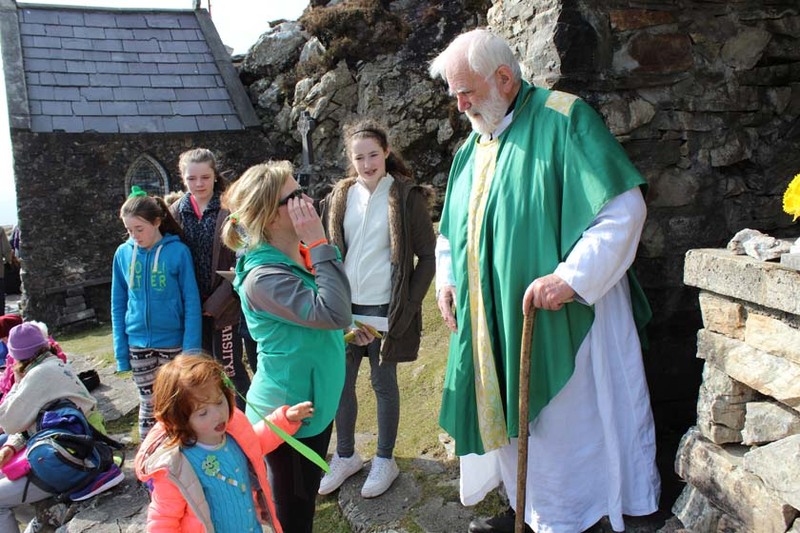 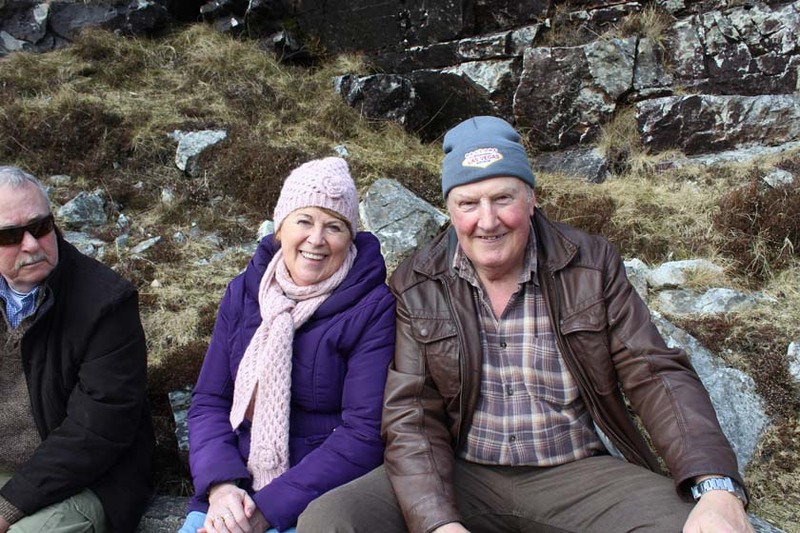 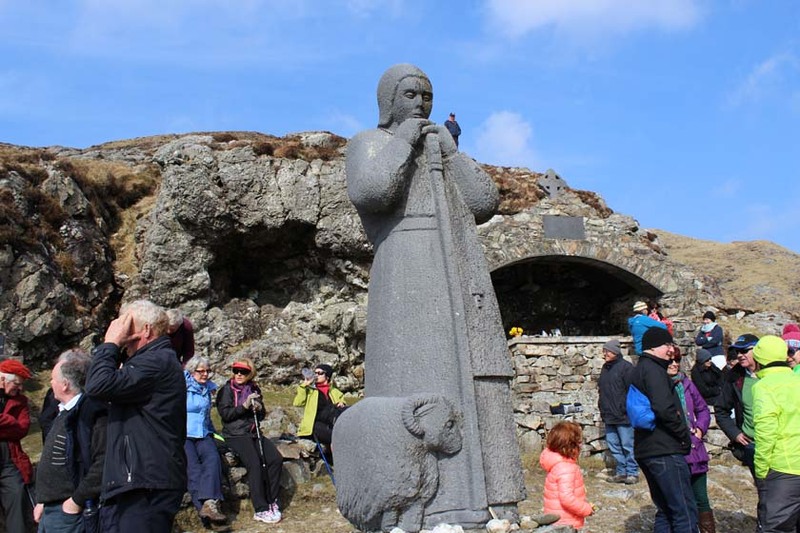 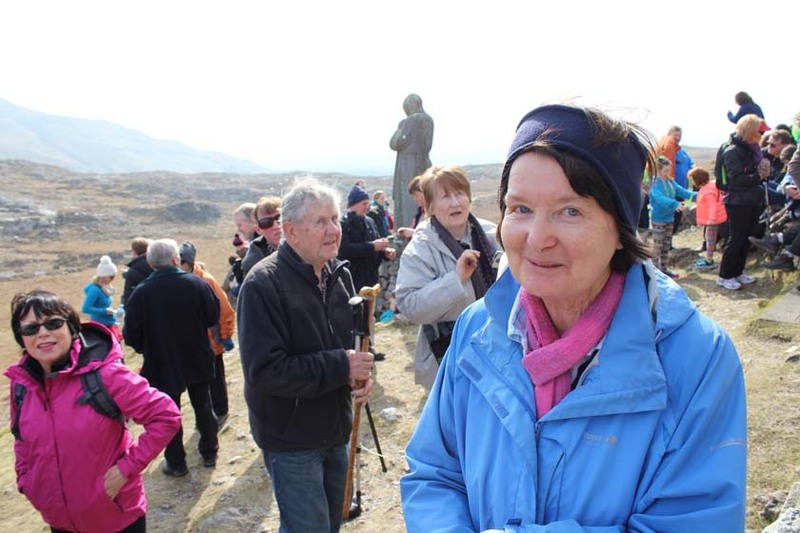 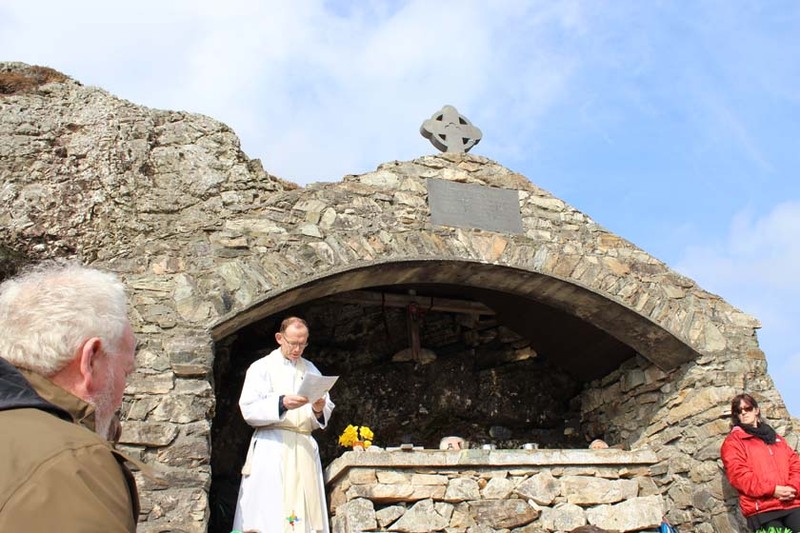 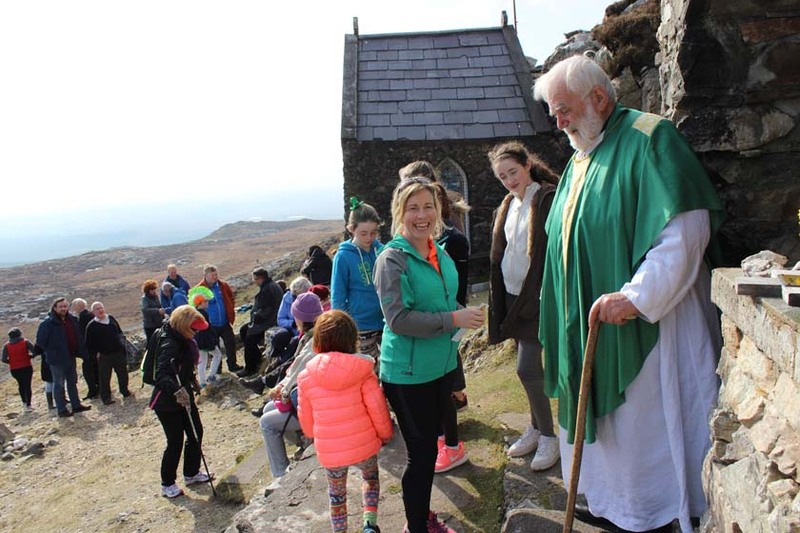 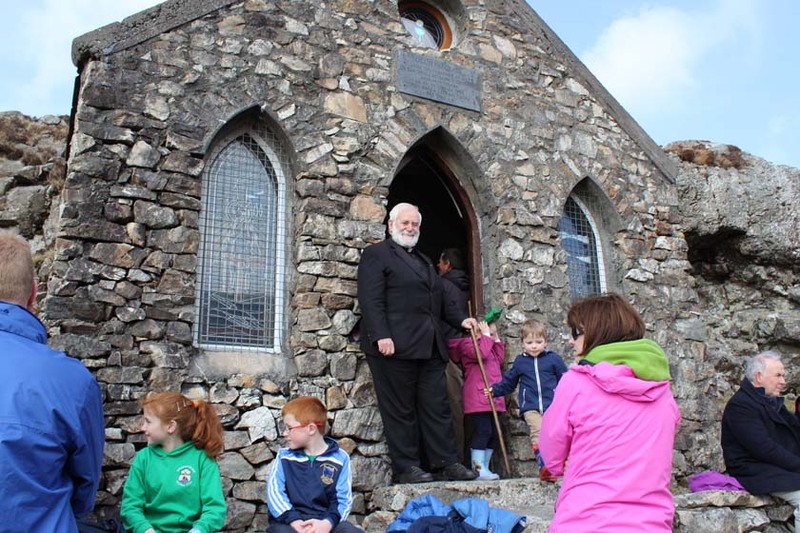 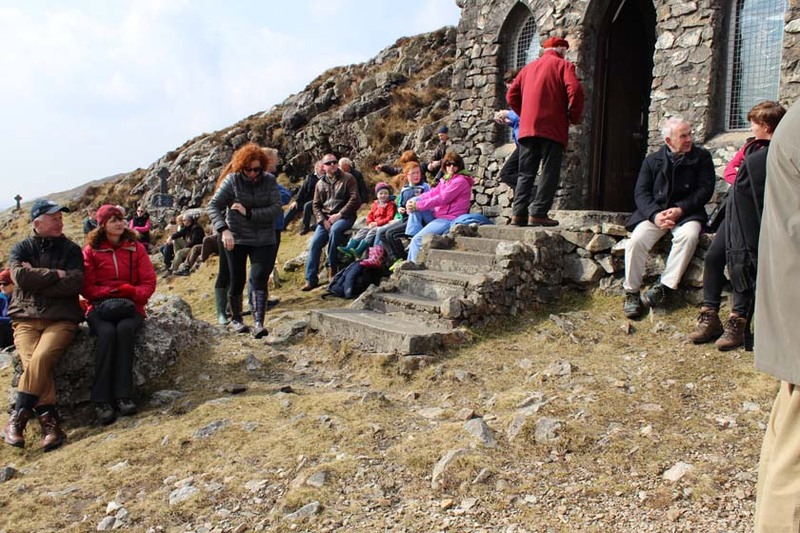 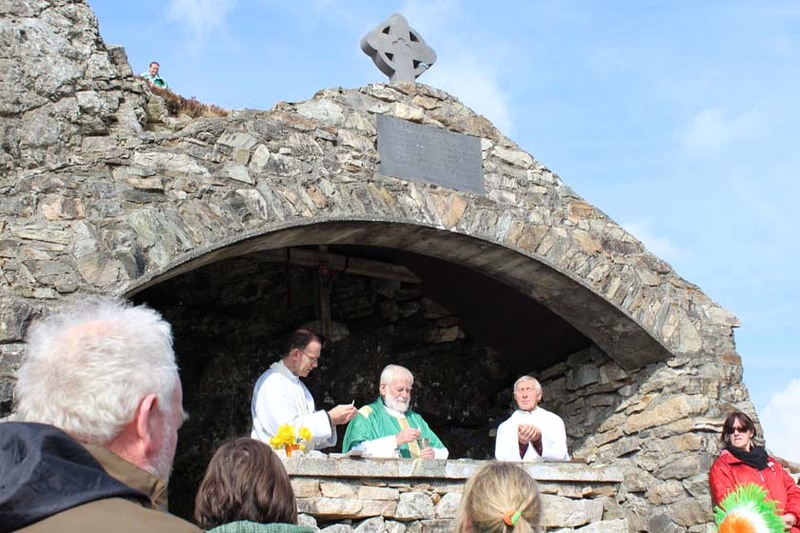 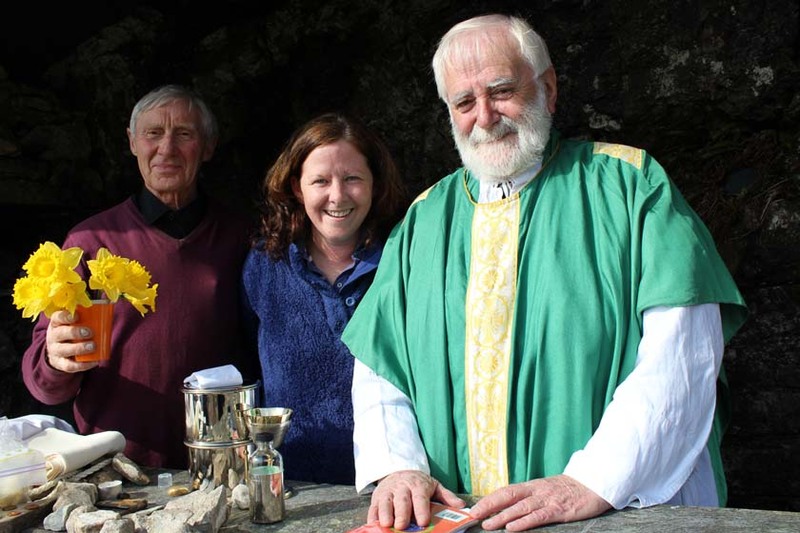 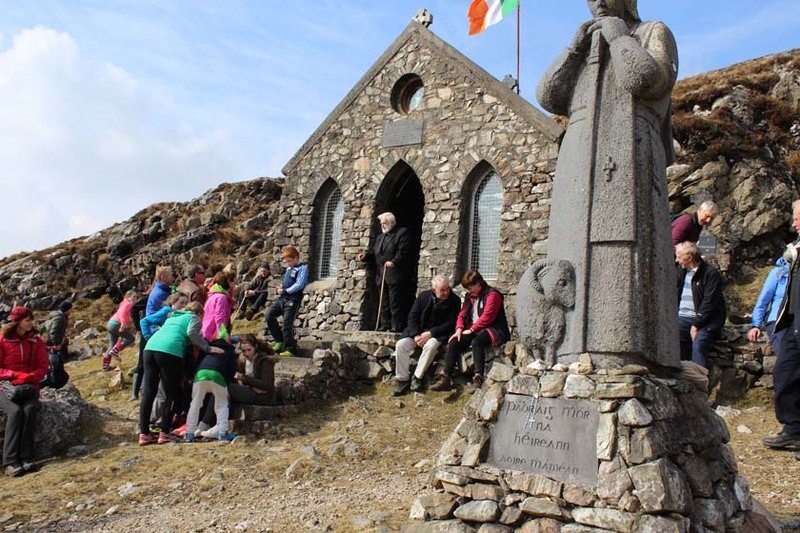 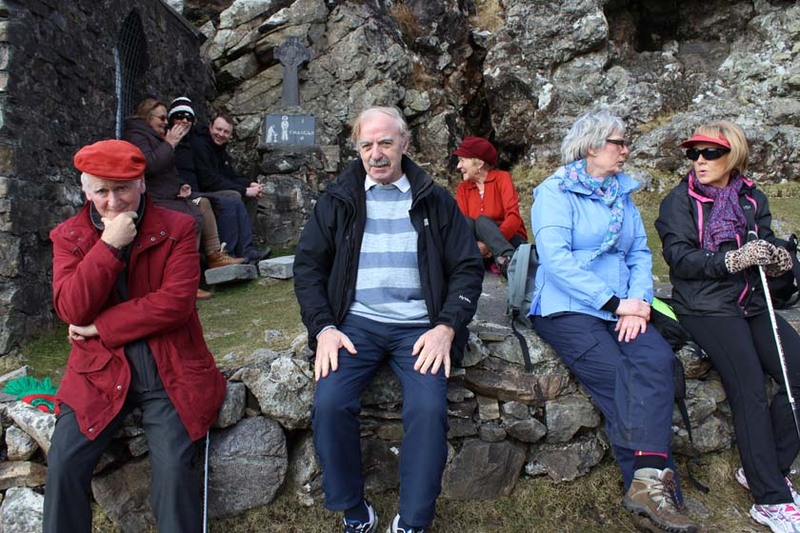 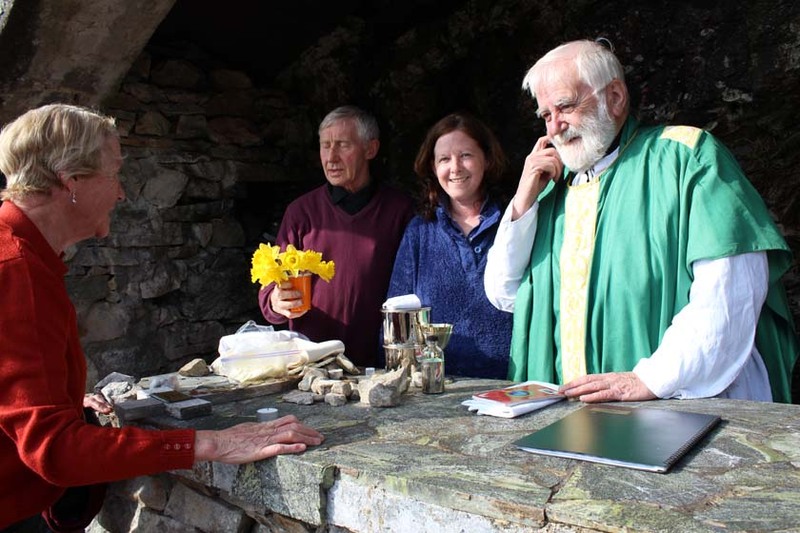 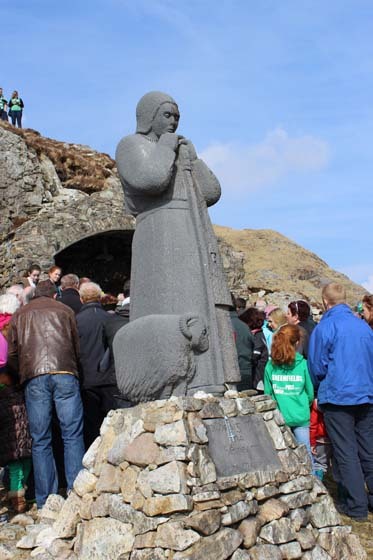 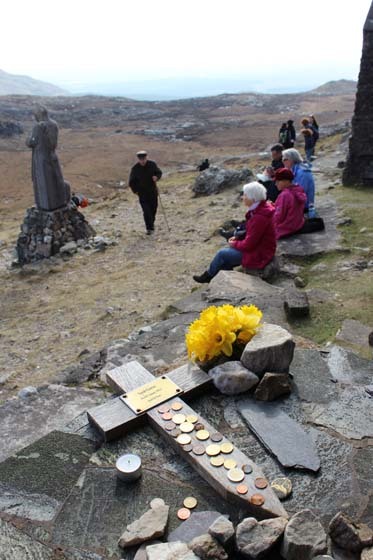 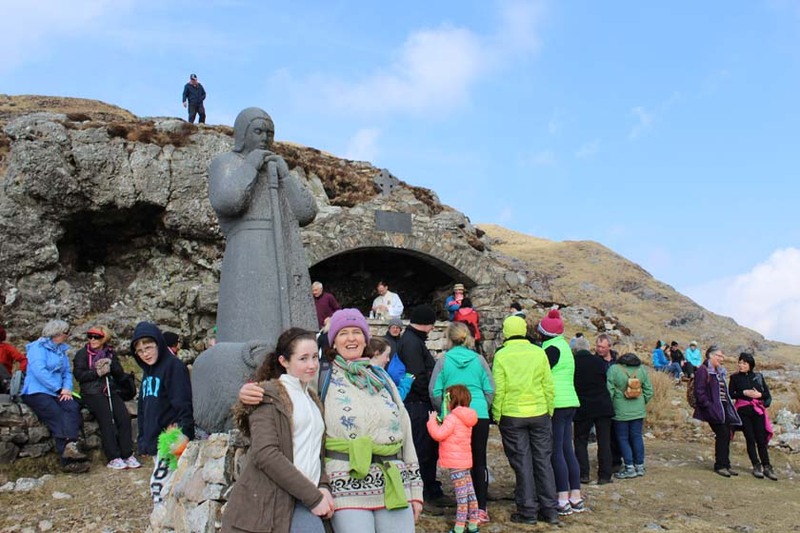 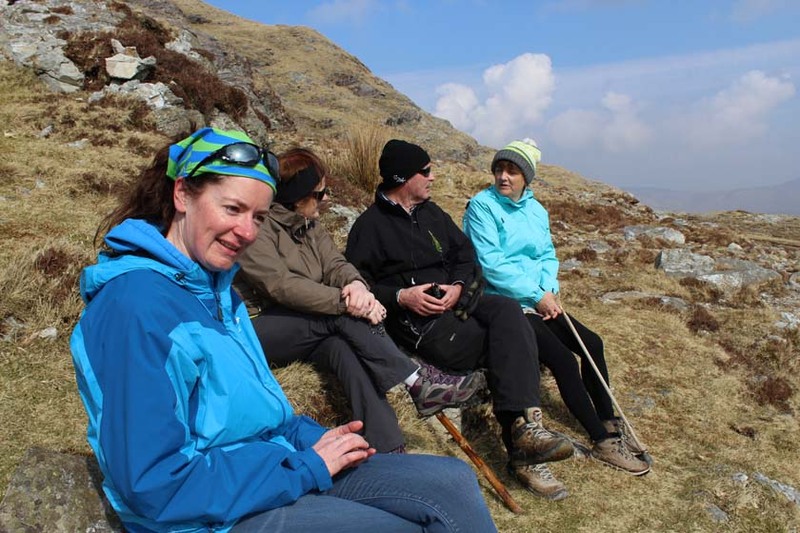 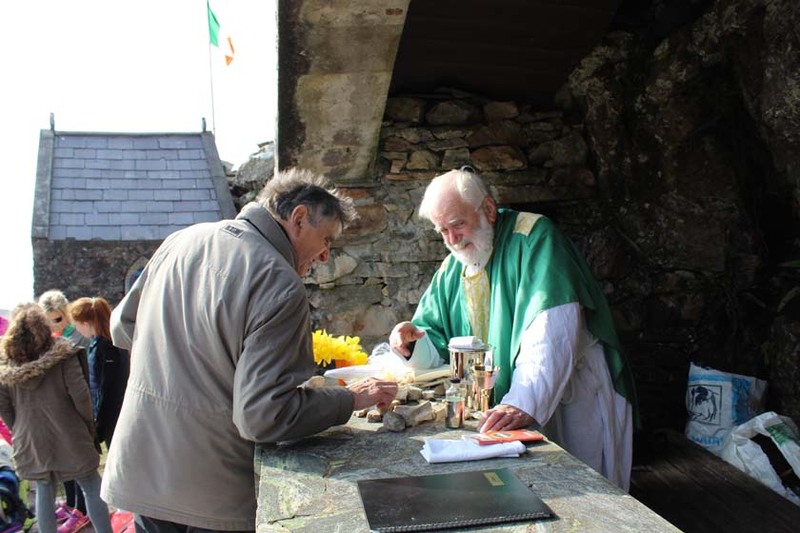 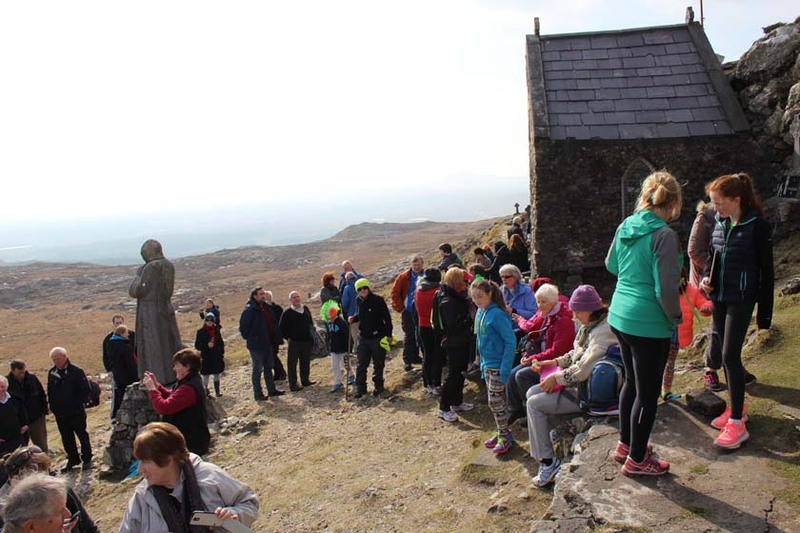 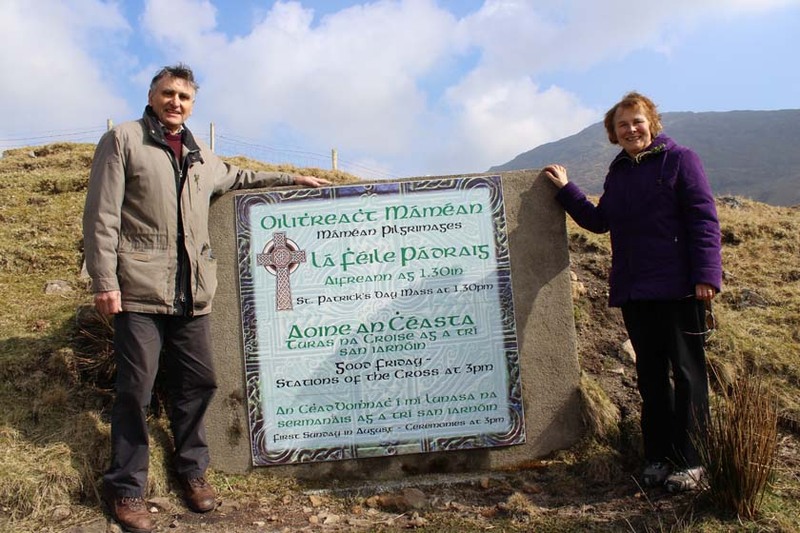 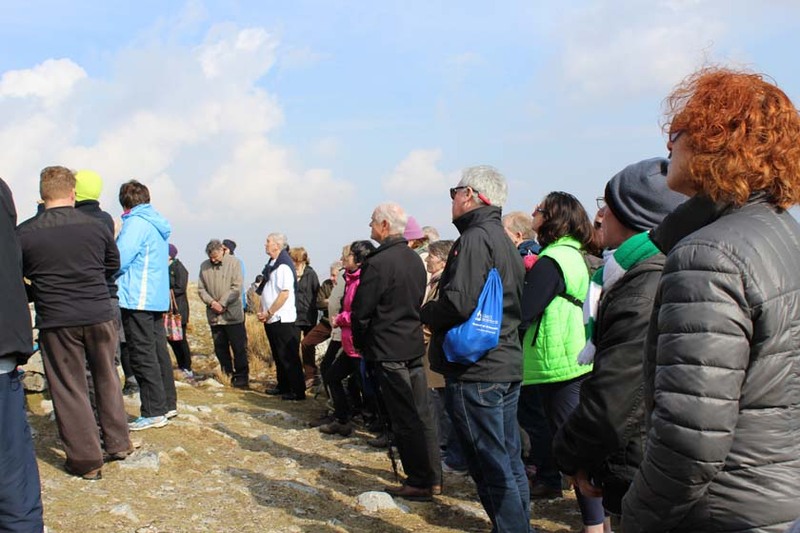 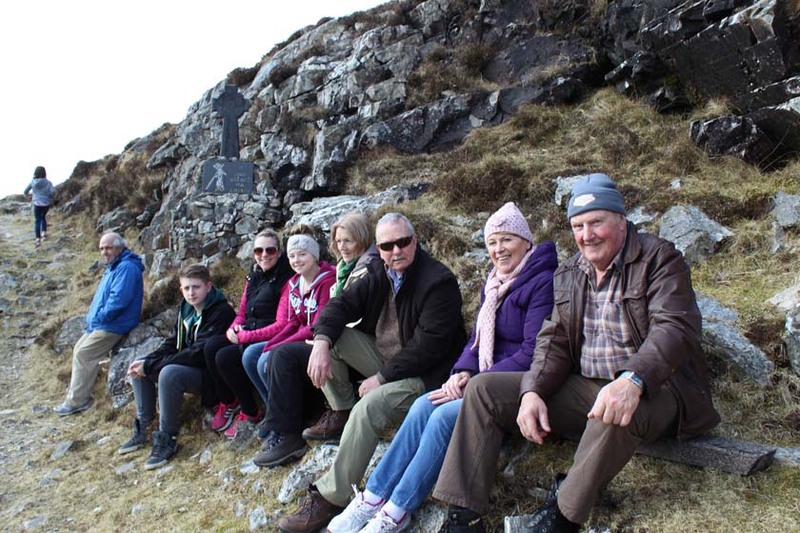 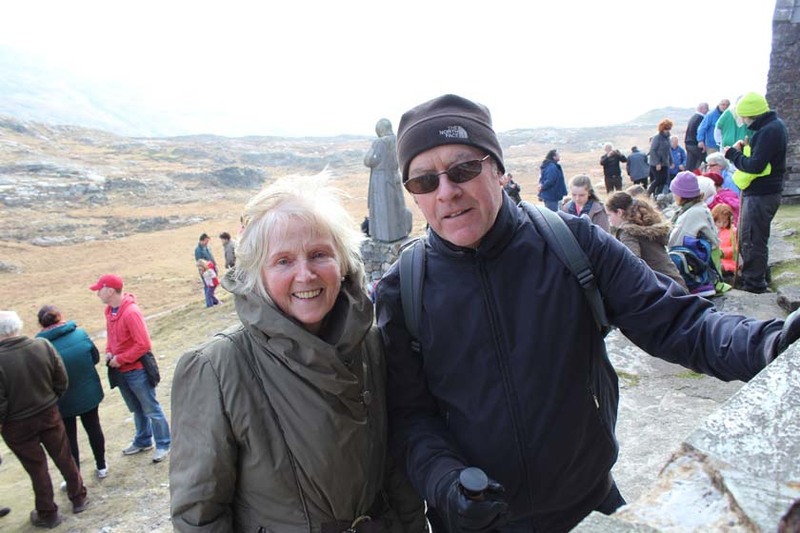 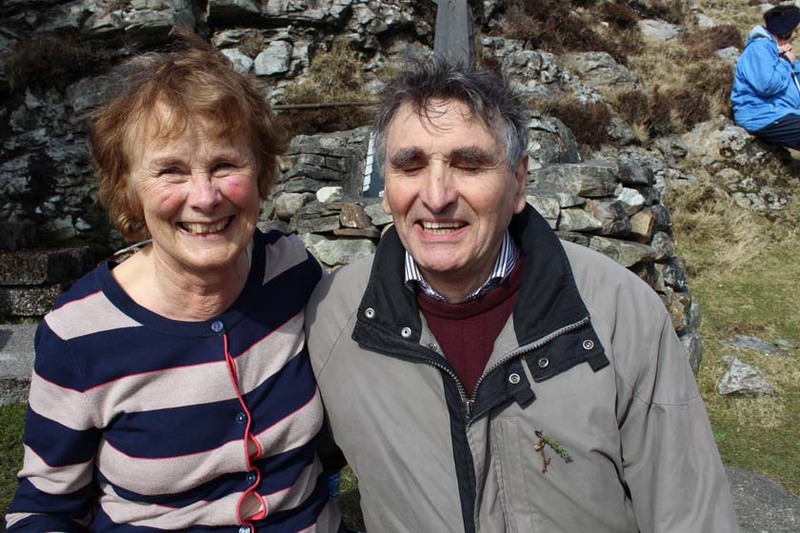 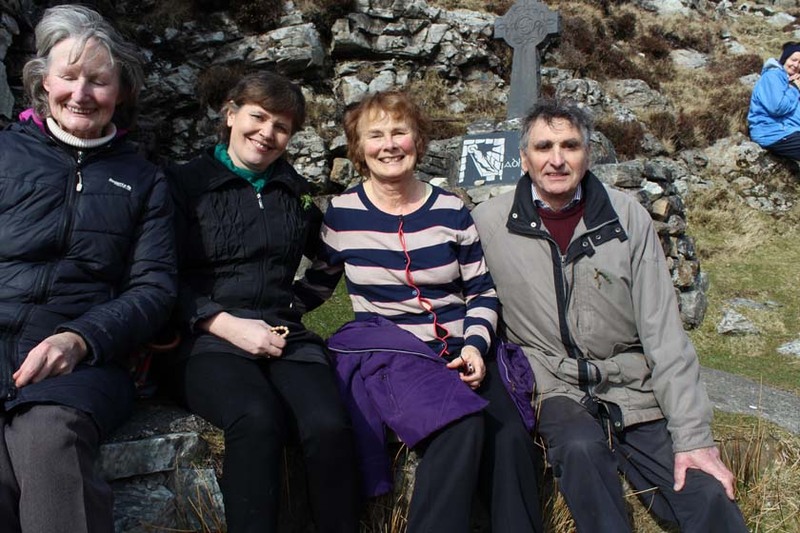 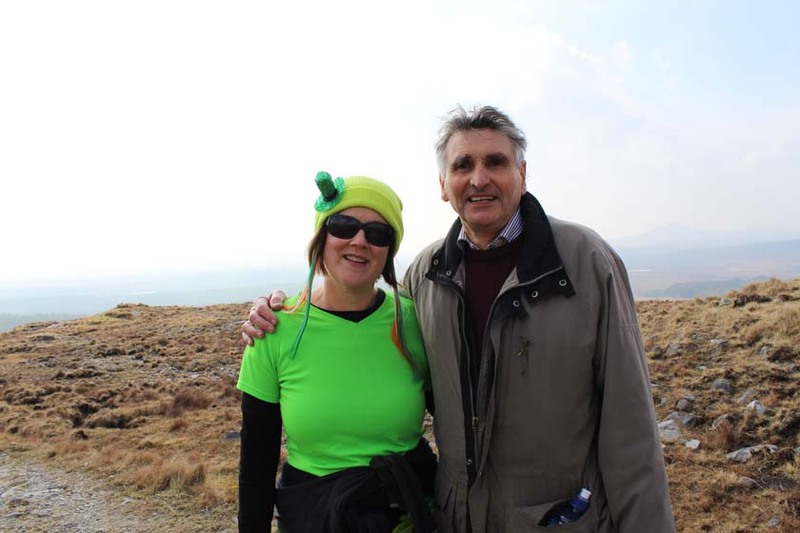 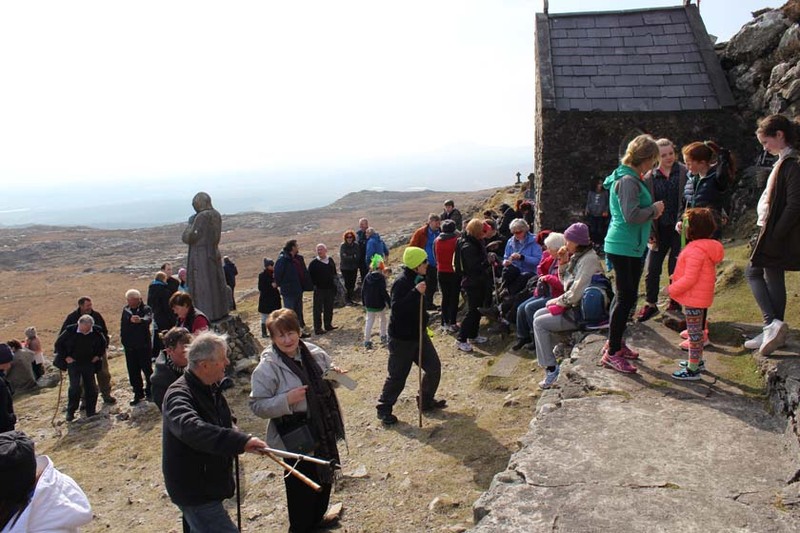 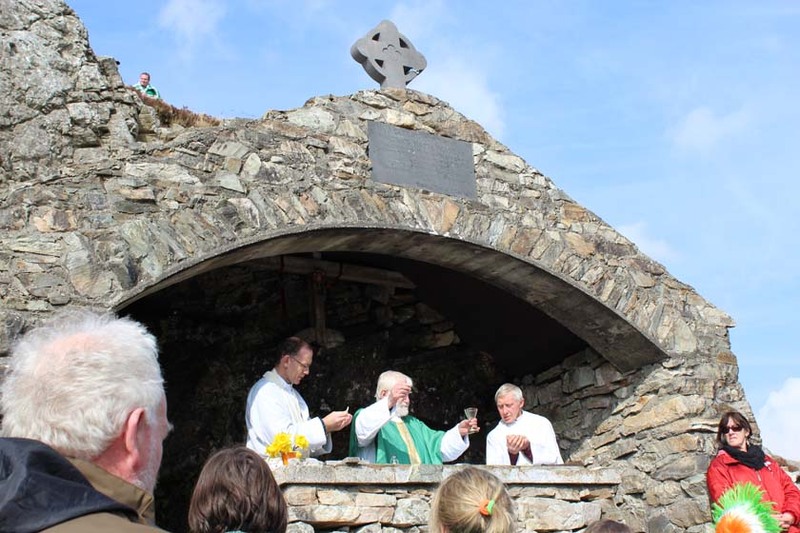 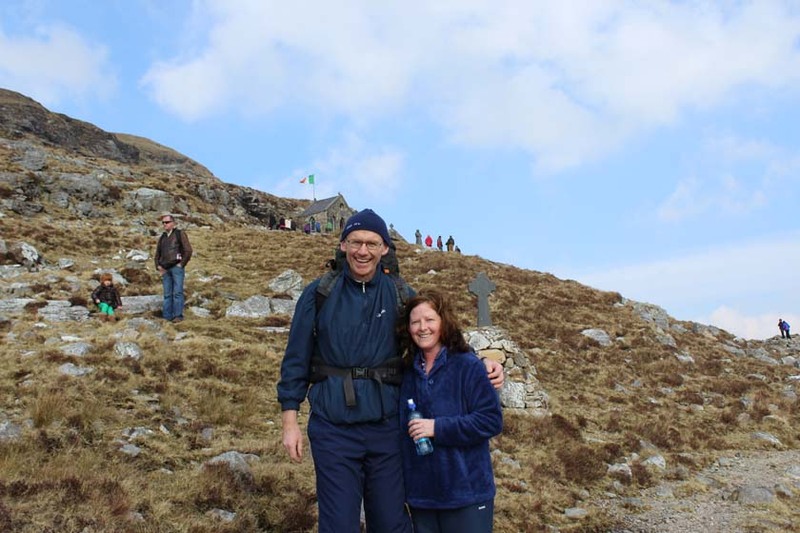 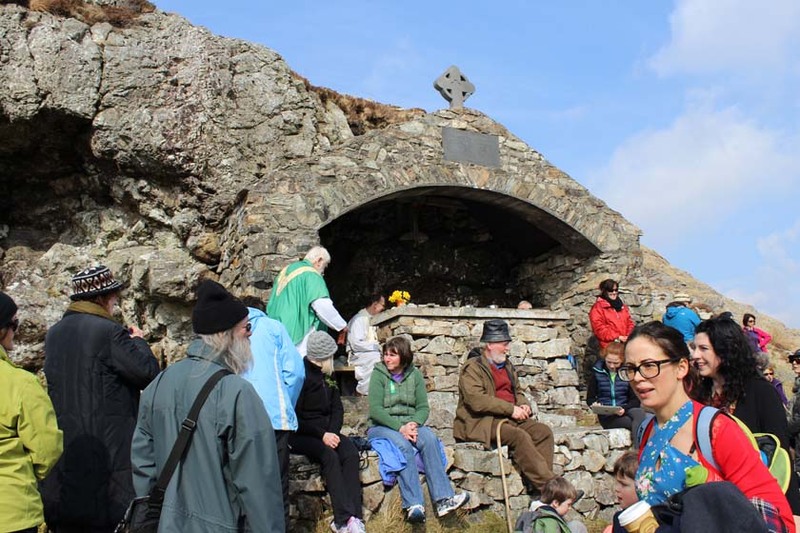 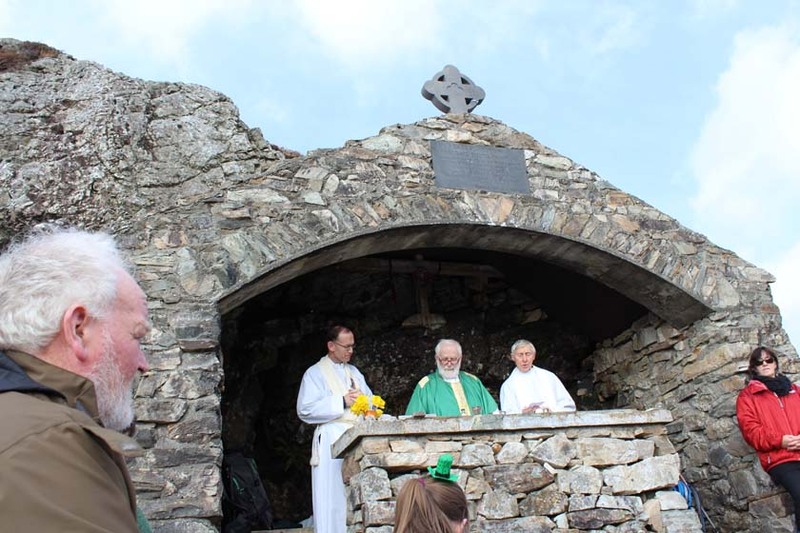 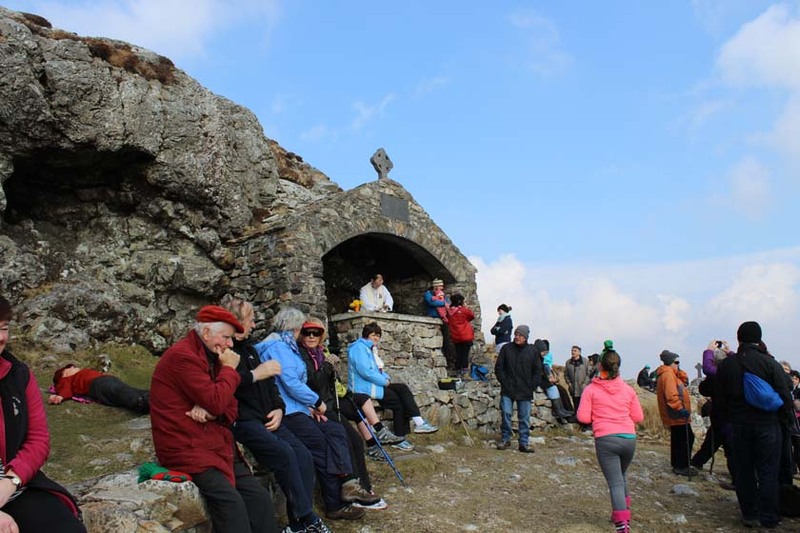 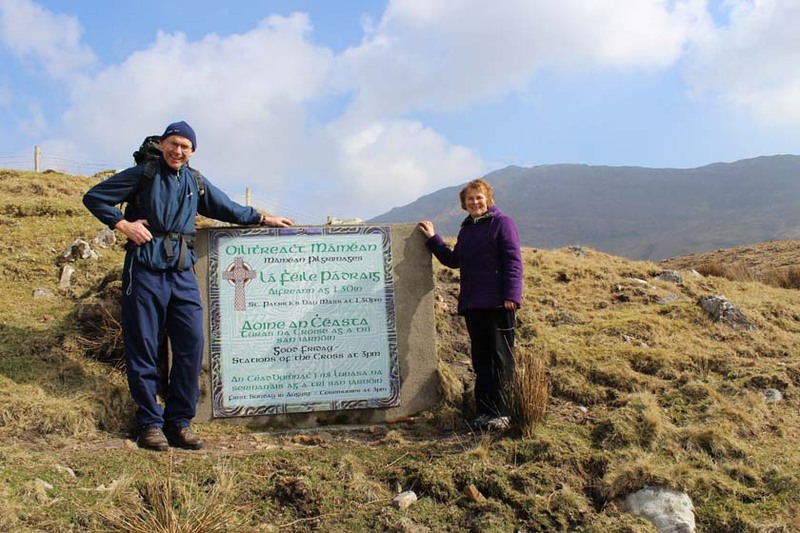 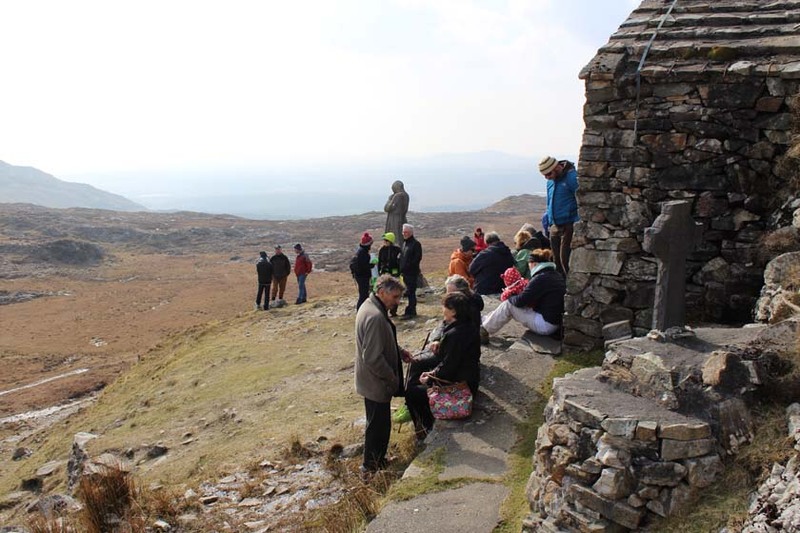 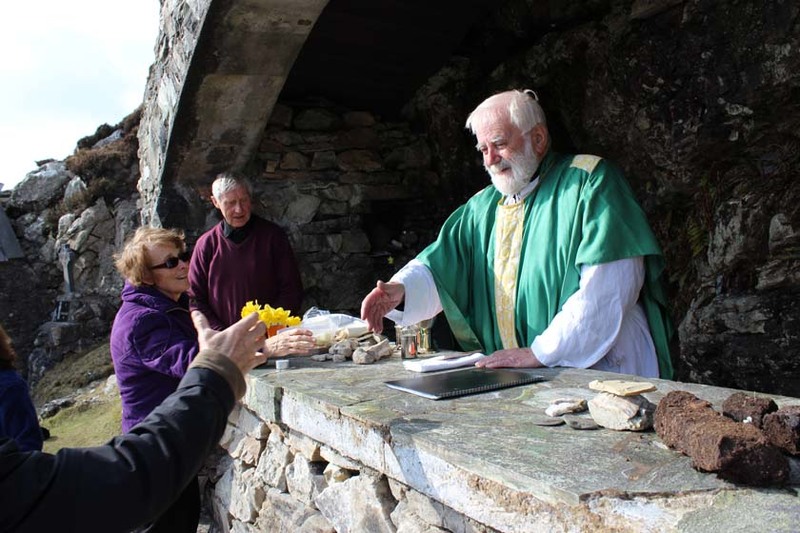 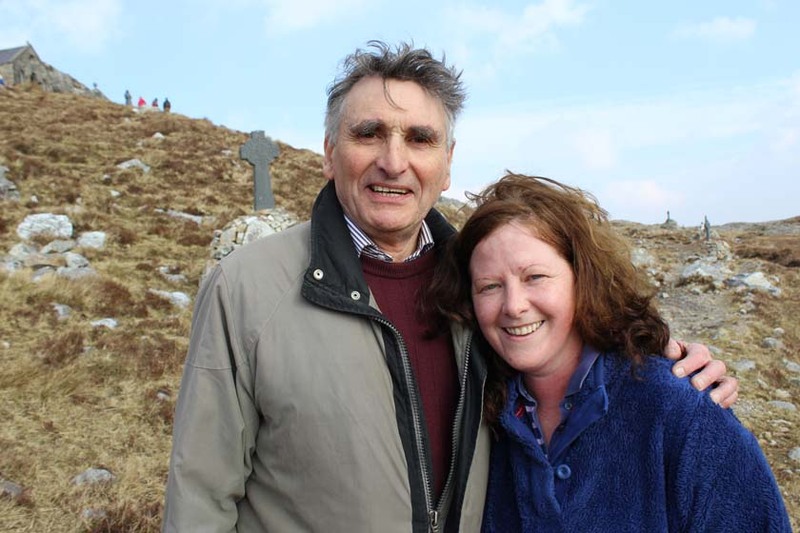 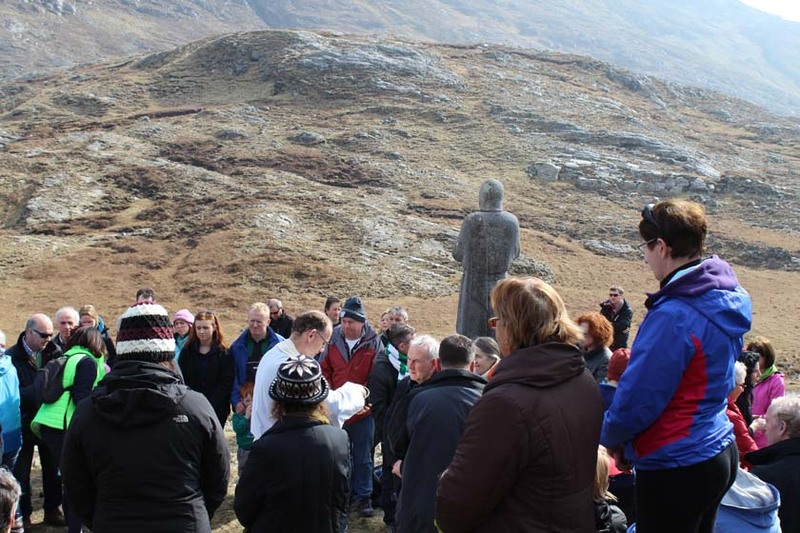 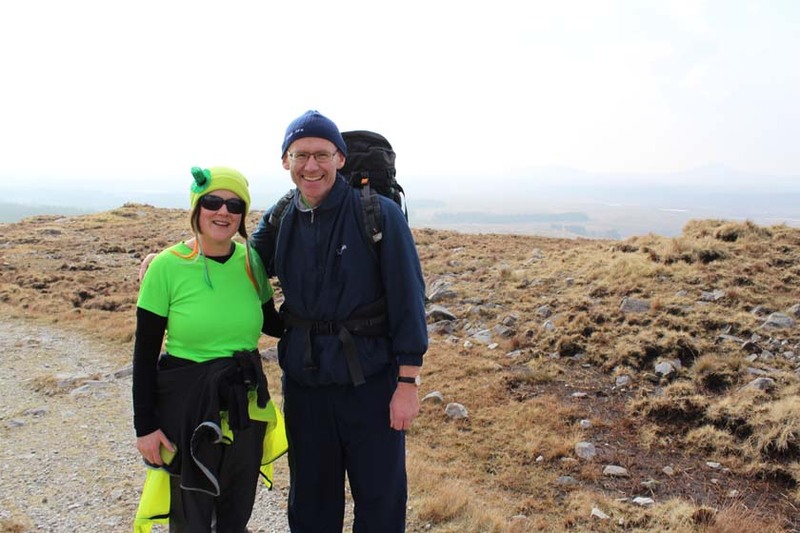 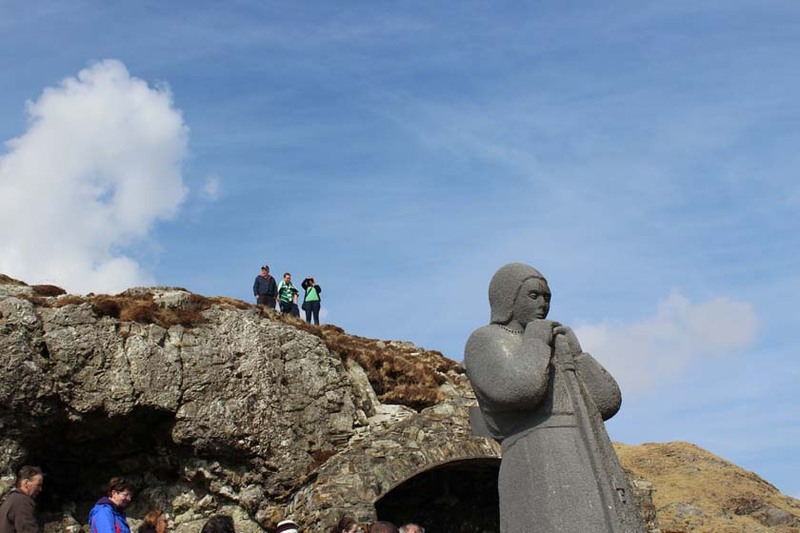 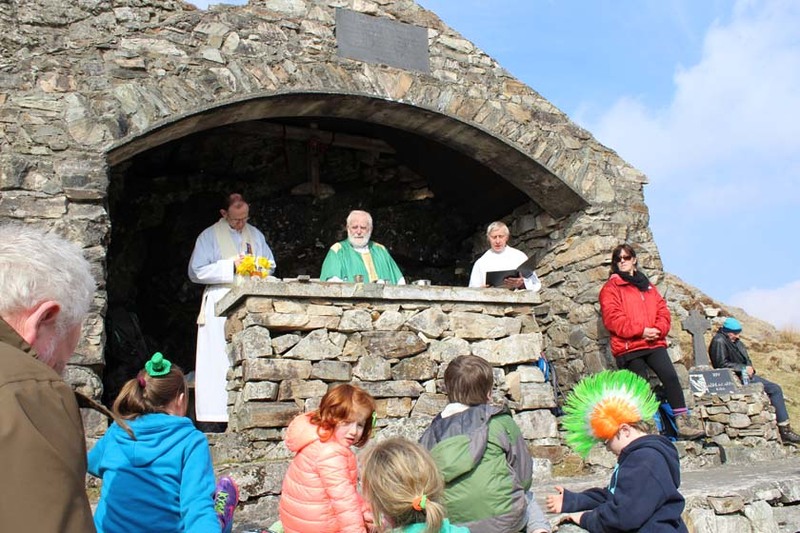 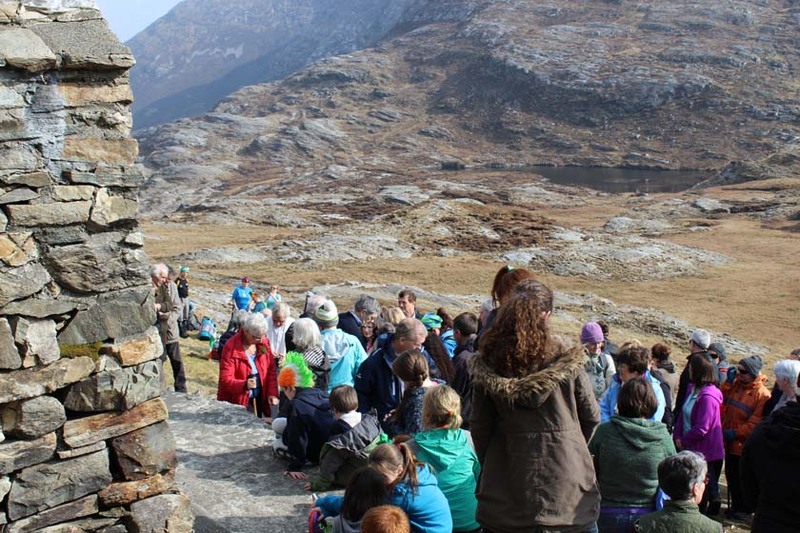 Michéal MacGréil, SJ (84 years old) returned to Máméan in the Maam Turk mountains after having hip replacement surgery just 4 months ago to celebrate the annual St. Patrick’s day Mass at the shrine. 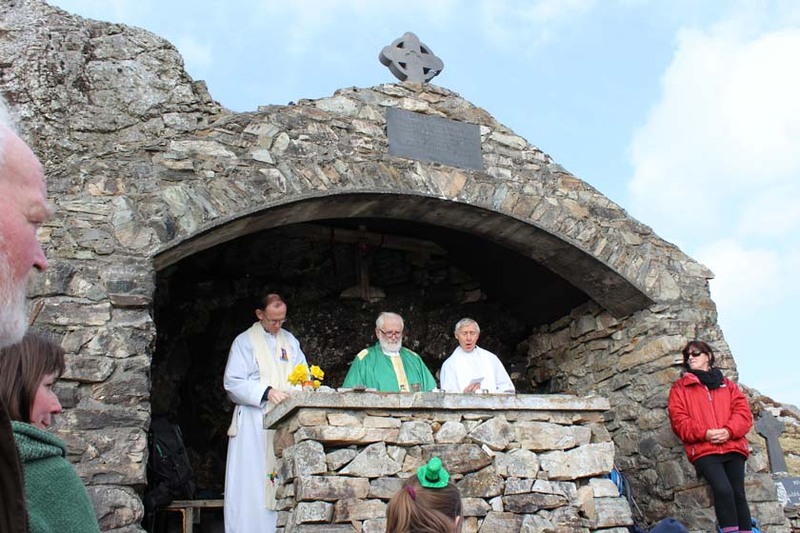 He was assisted by Frs. 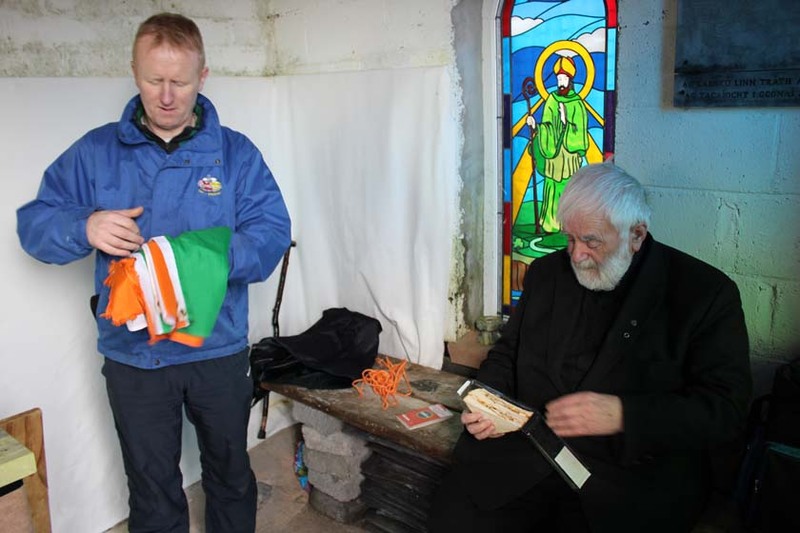 Fintan Monahan from Tuam and Paddy Considine of Rosmuc. 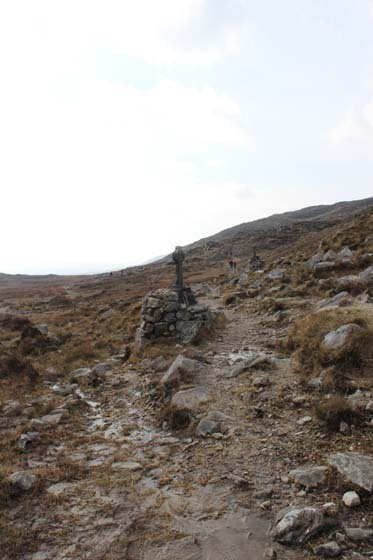 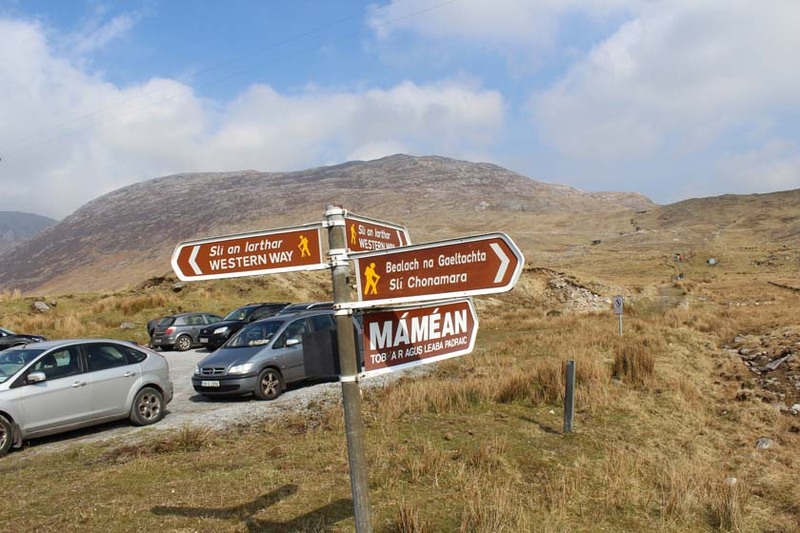 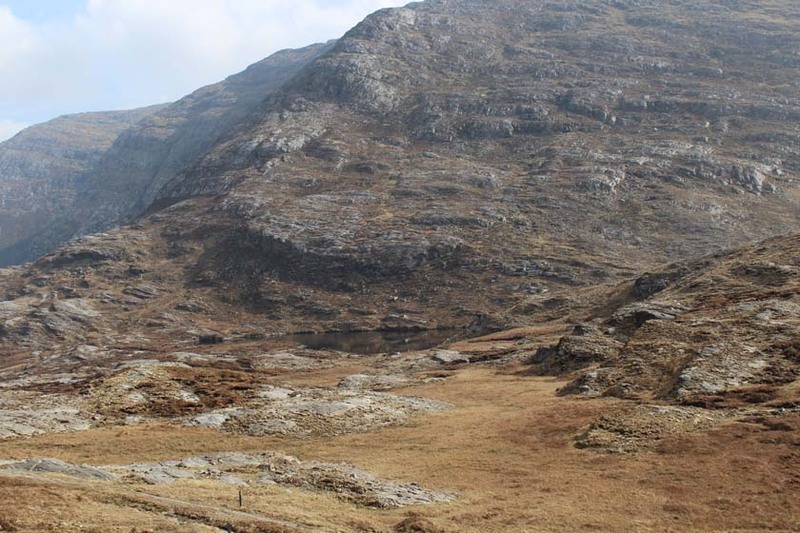 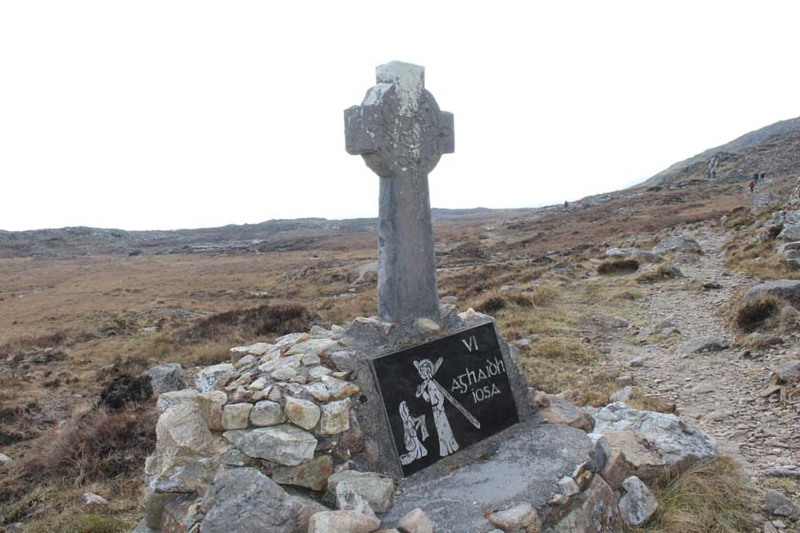 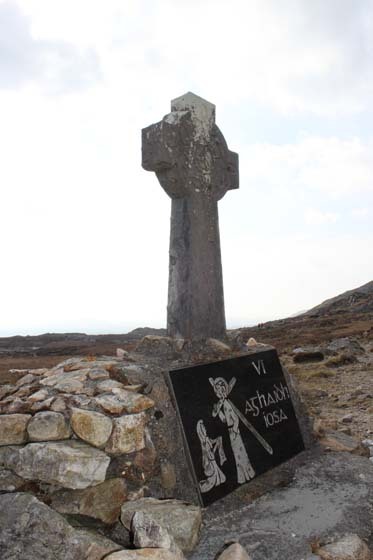 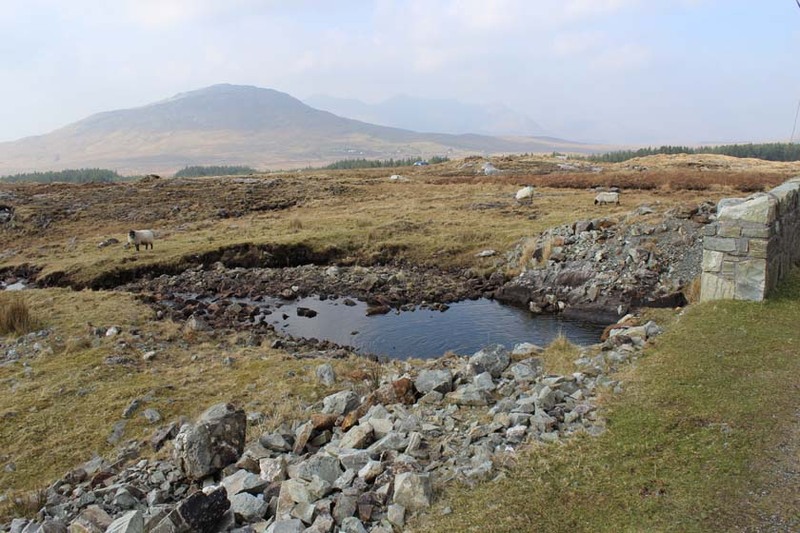 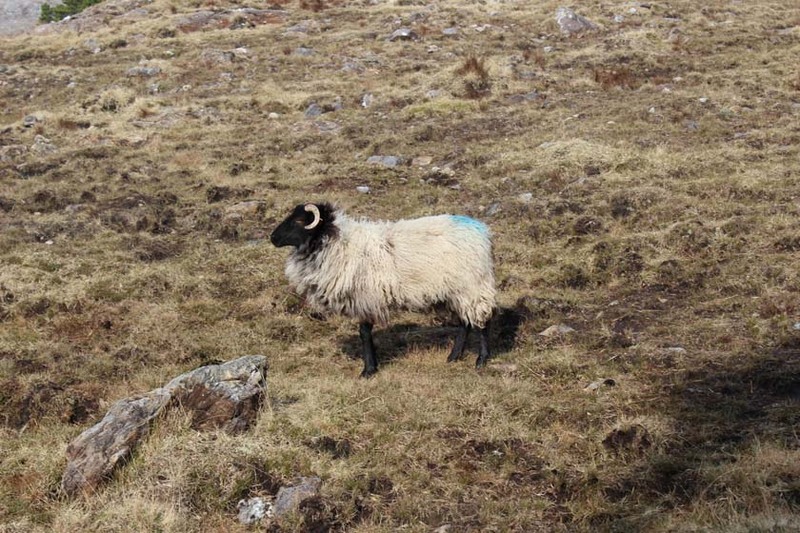 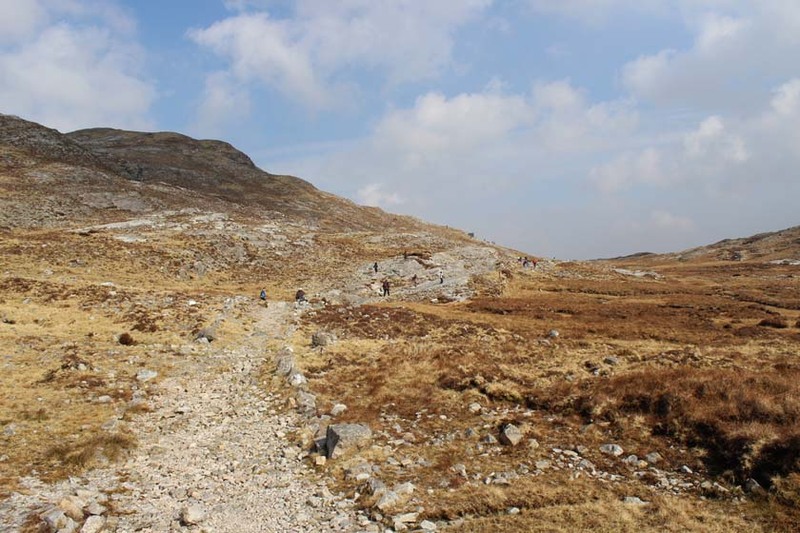 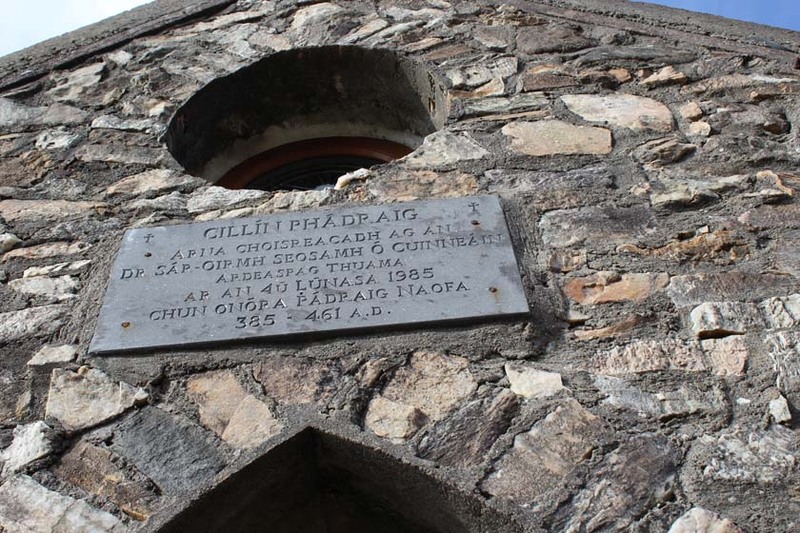 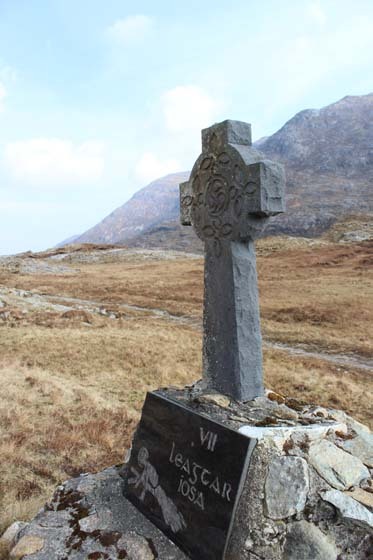 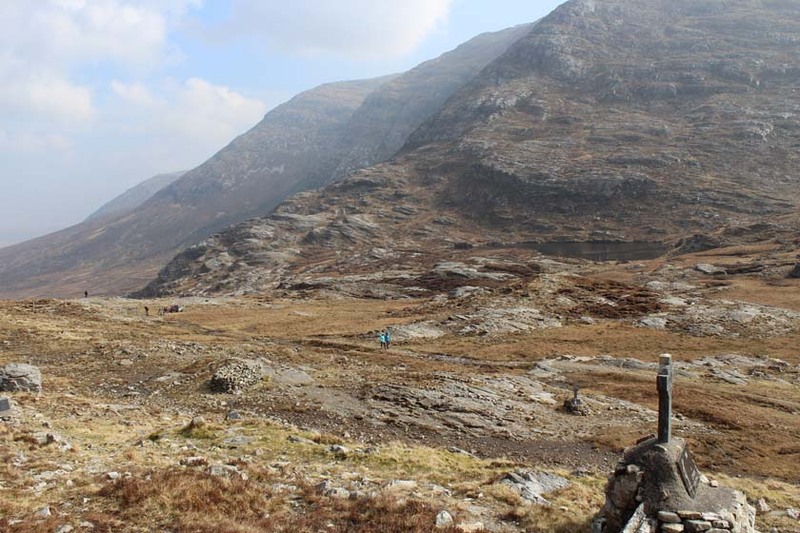 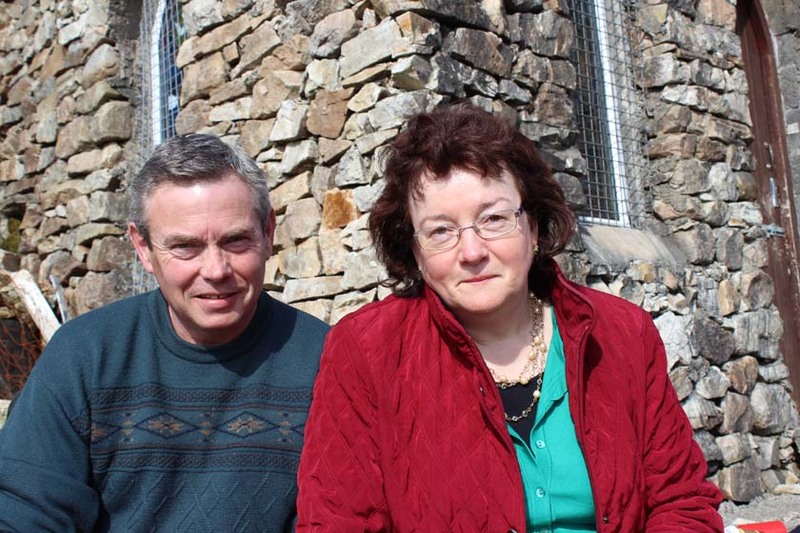 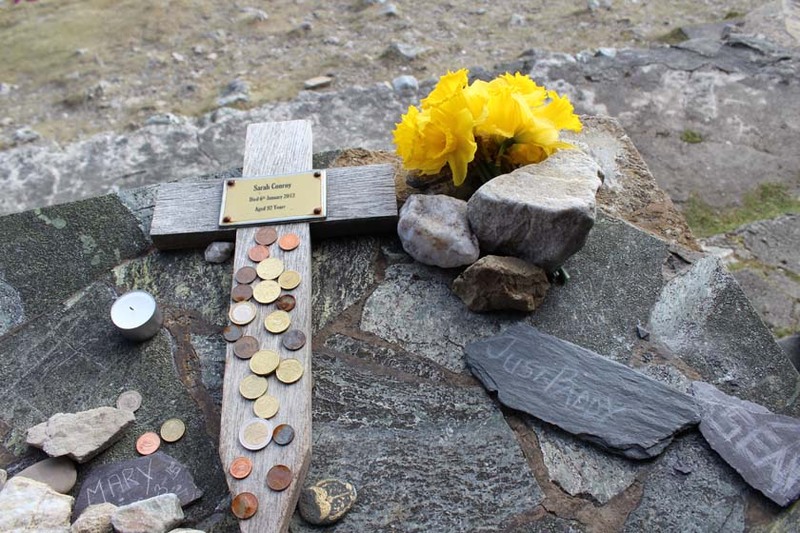 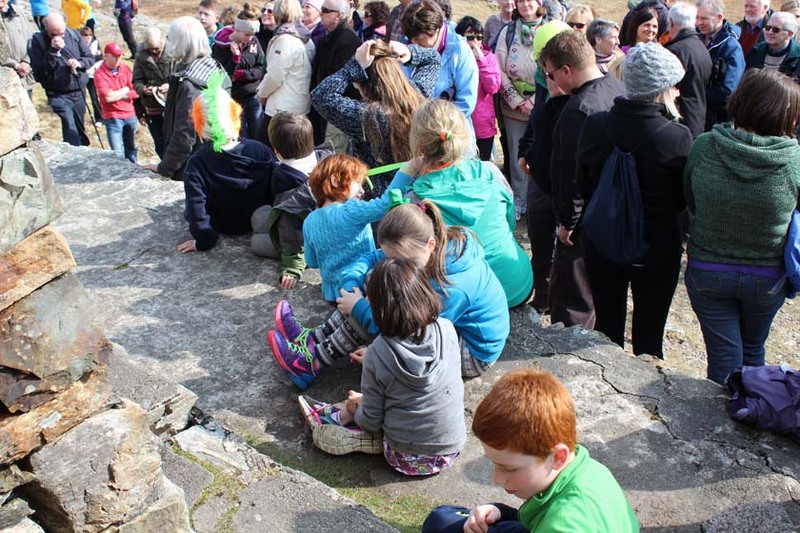 De bhrí go raibh an aimsear go hálainn bhí slua breá ar an sliabh le haghaidh an Aifreann. 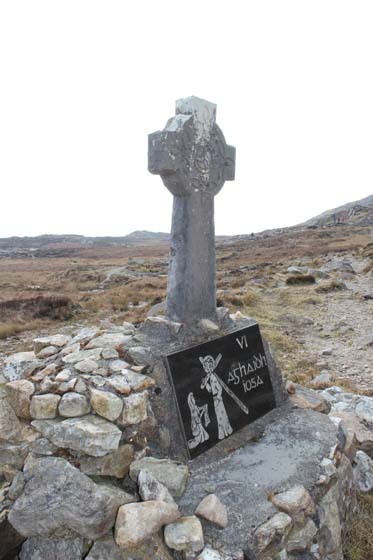 Go mbeirimid beo an t-am seo arís! 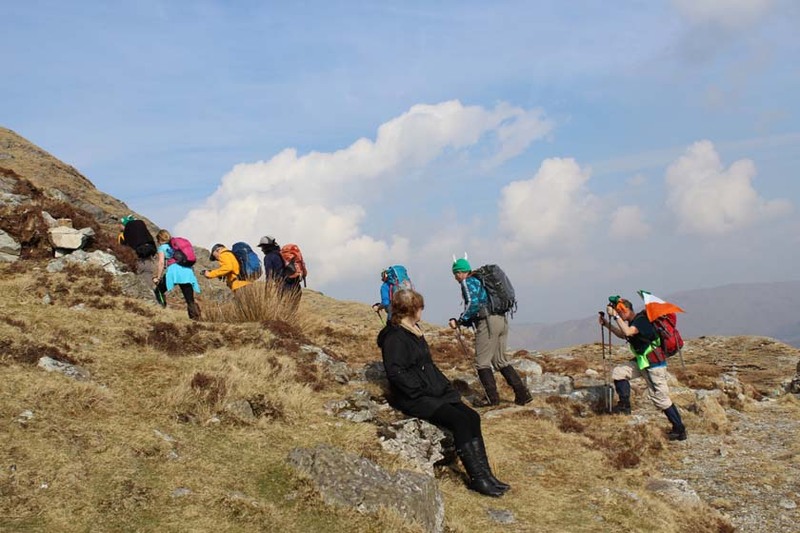 Click on the slide shows below for some images of the day!